Dauis Town Resorts, Pension Houses, Inns and other establishments offering room accommodations are only few in comparison to those found at Alona Beach yet their clientele have steadily grown thru the years. They are listed in alphabetical order below. Beach Rock Cafe is located at barangay Dao, Dauis of Panglao Island, Bohol, Philippines. It offers 20 room accommodations. Bikini Beach House The beach house is located at barangay Biking in Dauis of Panglao Island, Bohol, about 20 minutes by car from Tagbilaran City. The house is not open to the public but may be rented upon request. The two-storey house features two aircon rooms on the 2nd floor and one of them commands a good view of the sea. A big room is available at the ground floor; however, this is not for rent and is reserved for the owners. Guests have to bring their own provisions. A refrigerator is available and also simple cooking facilities. If you have a need for anything, two caretakers are willing and able to go for errands for a fee. The house is situated in a quiet neighbourhood and is only 15 meters from the seashore. Two sari-sari stores are nearby. Blue Sky Sea Resort is located at barangay Bolod in Dauis of Panglao Island, Bohol. The resort features 20 rooms that are fully equipped with modern facilities for luxury and comfort. The resort is nestles amidst landscaped gardens and on a hillside overlooking the sea. A white sandy beach in a private cove is only a few steps down from the resort and where a line of open thatched huts are available. The resort has a conference room, an in-house restaurant, a swimming pool with Jacuzzi and paraphernalia for activities such as scuba diving, snorkelling, tennis, billiards, table tennis and more. 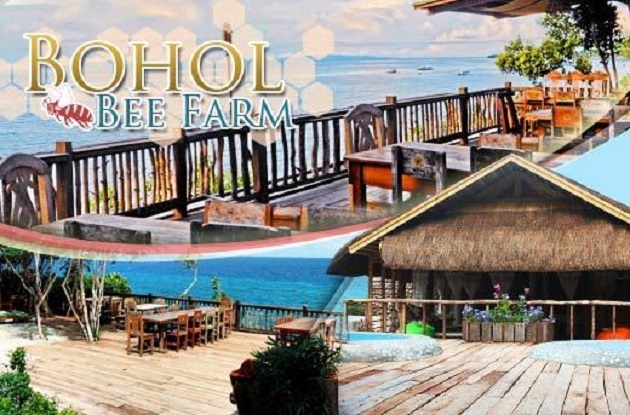 Bohol Bee Farm is located at barangay Dao, Dauis of Panglao Island, Bohol. The hotel boast of a well-landscaped ground, unique architectural buildings and room facilities made of bamboo and other native materials. The farm produces native products like bags, wine bags, bags for their bottled produce, mats, hats, wall decors, weaved hammocks and window curtains and lots more. It is committed to promote organic farming, wherein a unique, eco-friendly line of food products that contributes to the health, integrity and dietary balance of the body are produced. Finished products are home-baked bread, squash muffins, pure honey, honey and mango spread, bee pollen, corn coffee and more. The hotel’s restaurant uses vegetables that are all organically grown so are 100% natural and preservative free. The hotel holds various farm activities showing how their products are made. Bohol Plaza Resort is located at Dayo Hill, barangay Mayacabac, Dauis of Panglao Island, Bohol. The resort is a 4-star non-beachfront resort perched on a hill amidst rich and verdant tropical plants and leafy palm trees. It commands a spectacular view of the Bohol mainland and faces the city of Tagbilaran. Constructed in a unique way with the concept of going down the slope, the resort followed the mountain slopes. The lobby is on the 4th level and one goes down into different hotel levels for accommodations and other facilities. Buildings are surrounded by well-planned gardens including a driveway that is wide and welcoming. The resort offers 40 cottages, two (2) swimming pools and a restaurant. Bohol Sea Breeze Resort is located at barangay Dao, Dauis of Panglao Island, Bohol, Philippines. It offers 6 room accommodations with aircon (non-aircon room have electric fan), private toilet and bath and hot & cold shower and TV. 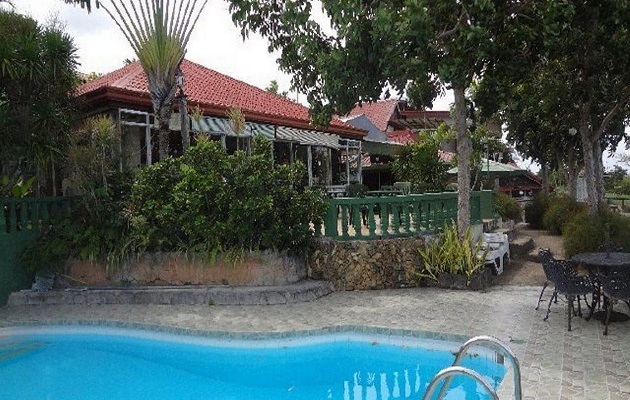 Casa Filomena Resort is located at Riverside, Totolan in Dauis of Panglao Island, Bohol. The resort is five minutes away from Soledad Suites, its sister resort. The resort features single-detached bungalows at minimal cost with breakfast for two for overnight stay. The resort has an in-house restaurant that can accommodate up to 100 people, a swimming pool and an ocean deck where one can enjoy a soothing massage. 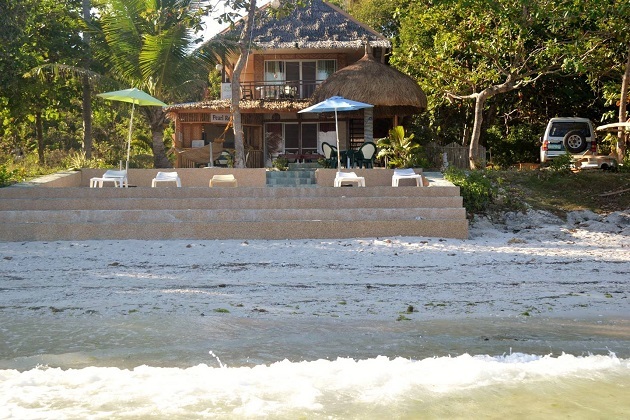 Casa Santa Barbara is located at barangay Biking, Dauis of Panglao Island, Bohol and sits on 6000 square meters with 100 meters of private ocean frontage. Two minutes walk from the main house and down a flight of stone stairway is a small private beach with excellent diving. It is 12 minutes from Tagbilaran City and 15 minutes from Alona Beach. Landmarks are the Biking School and the water refilling station. Casa Santa Barbara is a fully furnished Spanish colonial villa which features a 100 square meter living room with 20’ ceiling and stainless steel industrial-style kitchen. Maid service is available; and available for rent are a minivan and motorbike. Airport and pier pick-up can be arranged and for free. 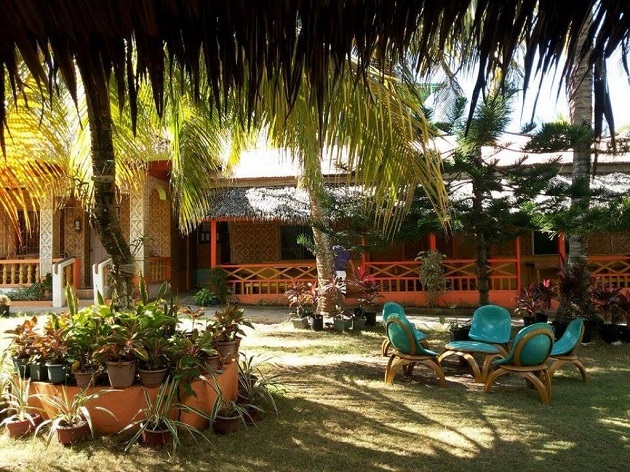 Coco Grove Tourist Inn is located at Circulado Street, Poblacion, Dauis of Panglao Island, Bohol. The Inn features aircon room accommodations that are equipped with cable TV, private bathroom and hot and cold shower. The Inn has a coffee shop and offer services such as transportation/airport pick-up, housekeeping and laundry, domestic call services, ticket booking, travel and tours arrangement. Hidden Coral Diver’s Club & Resort is located at Songculan, Dauis of Panglao Island, Bohol: only 10 minutes from Tagbilaran City. It boasts of 8 fully air-conditioned cottages of three categories: superior cottage, deluxe cottage and family villa with garden, pool and sea views, respectively. All cottages are equipped with satellite television, hairdryers and In-room safes. The resort has the following facilities: Sea View Restaurant, Coco Lounge Bar, meeting and banquet halls, Business Center, Swimming Pool, Kiddies Pool, Jacuzzi and a man-made waterfall. Jul Beach Resort is located at Bingag, Dauis of Panglao Island, Bohol. 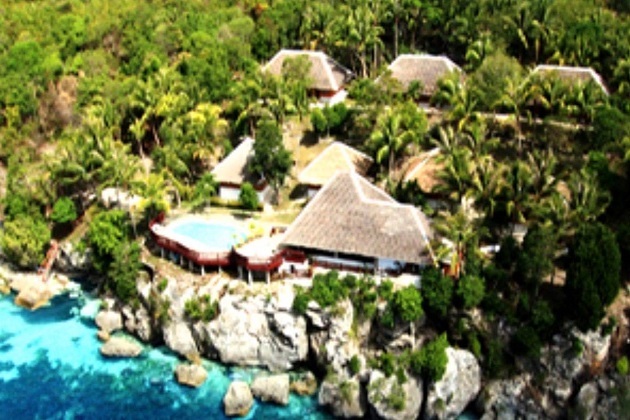 The resort offers eleven (11) room accommodations and is managed by Mr. Lyndon Boiser. Ladaga Inn Hotel and Restaurant is a non-beachfront hotel located barangay Totolan, Dauis of Panglao Island, Bohol, Philippines; only a few minutes ride to the white sand beaches of this island. Forty three (43) room accommodations equipped with aircon, cable TV, mini-bar, private toilet and bath with hot & cold shower. 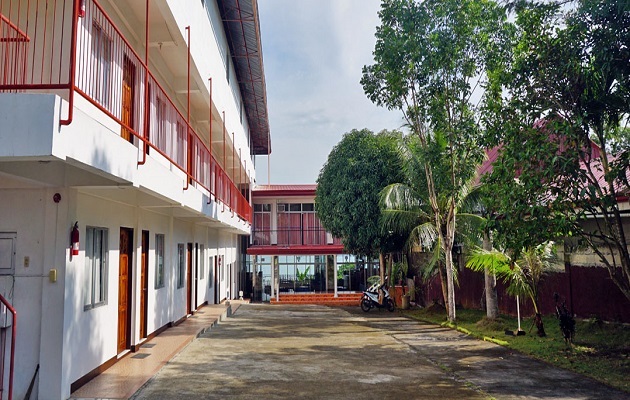 The Hotel offers facilities such as a function hall, conference rooms, restaurant, a karaoke bar; and services like free airport transfers, functions and seminars set-up, island travel & tours, free WiFi internet access with free laptop use, 24-hrs video surveillance and security services, and more. 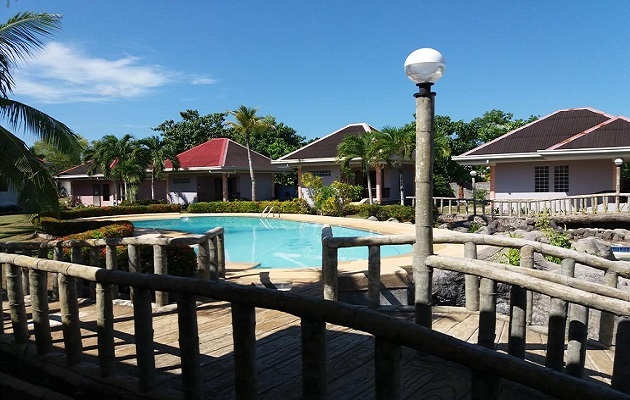 Olman’s View Resort is located at Riverside, Totolan, Dauis of Panglao Island, Bohol, Philippines. It is a 3-star cliff-side resort offering 20 rooms in the following categories: standard, superior, deluxe, Jr. Suite and Executive Suite. The rooms are fully air-conditioned and equipped with PABX telephone, cable TV, refrigerator, private toilet and bath and hot & cold shower. It has a business center, conference room, several restaurants and a bar, a music bar/Videoke room, a wide rectangular-shaped swimming pool and a games hall. 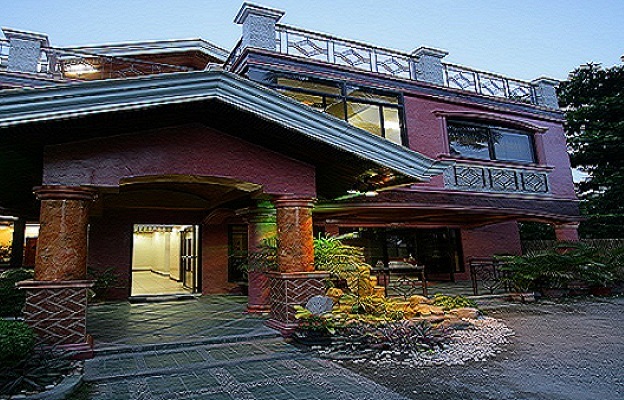 The resort has also ample parking space, a souvenir shop and offer services such as 24 hrs. room service, tour packages and more. The duplex and quadruplet units are ideal for families. With two extra beds, the units can accommodate 4 adults. Guest rooms have balconies with drying rack, coffee table & chairs. All rooms are equipped with individually remote-controlled air conditioning, satellite TV, IDD/NDD telephone facility and other modern facilities that are listed below. Aside from a covered restaurant and the Seahorse Pool Bar, the resort also has a tropical garden whirlpool to relax and rejuvenate tired muscles. Guests can also enjoy an energetic game of table tennis, billiards, darts, and less strenuous game of chess at the resorts’ game room. The resort also built a Marine Sanctuary which is ideal for snorkelling and can be reached by pump boat. is located at barangay Totolan, Dauis of Panglao Island, Bohol, Philippines. It is a small pension house offering only 3 room accommodations in the following categories: a chalet with two twin rooms and a double room that are fully furnished and equipped with private toilet and bath, kitchen, television and a patio by the sea. Parking space is also provided.